There are certain TV shows and films which feature unseen, automated, mechanical “voices” which never materialize into human form; they usually occupy a mechanized “framework” instead of a body, and are characters who become all the more fascinating and alluring to us *because* of their mystique of being “unseen”. One of the most legendary “Voices Behind the Consoles” is HAL 9000, the computer — and major antagonist — in Arthur C. Clarke’s saga and immortalized in the 1968 film2001: A Space Odyssey and its 1984 sequel, 2010. 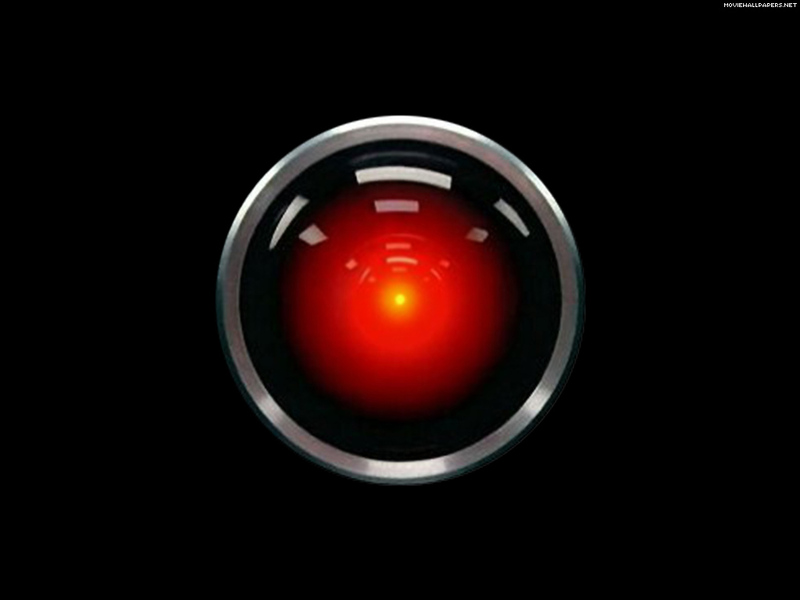 HAL (Heuristically ALgorithmic Computer) was an artificial intelligence which interacted with the crew, usually only represented by a red television camera “eye”. Speaking in a soft, conversational style, HAL was portrayed with understated slyness and with a surprising level of depth by Canadian actor Douglas Rain. HAL was capable of not only speech, but speech recognition, facial recognition, natural language processing and lip-reading (discovered when Bowman and Poole — crew members who doubted HAL’s reliability and discussed replacing him in what they thought was a private conversation in the one of the EVA pods) and playing chess – skills which have come to be almost “expected” in automated forms. What placed HAL way ahead of his time were skills far outside the realm of what is within an automaton’s typical reach — (apparent) art appreciation, reasoning — and even more staggering: interpreting and reproducing human behavior; aspects which are still considered too arcane and subjective to be accomplished with consistency by a computer. Capable of malice and diabolical revenge (severing Poole’s oxygen and setting him adrift and suspending life functions for those crew members in suspended animation, to name just a few), HAL was an ever-present, ominous…. *force*, made all the more compelling by being seen as only an unflinching, staring red “eye”. 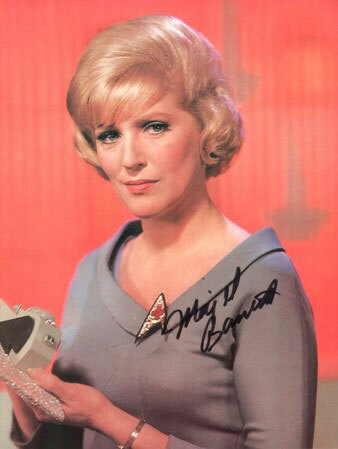 Always present; continuously watching; and never registering any emotional investiture into the outcome of situations the crew may have found themselves in, Majel Roddenberry’s computer voice provided wonderful continuity throughout the episodes and well into the movie franchises — during the last of which — the 11th movie in the series — she completed voicing her computer lines mere weeks before she passed away from leukemia in 2008. Whether they become the conscience of the spacecraft, or merely keep everyone on kilter with gentle adjustments or admonishments, the characters of the automated computer genre appeal so widely because they never fully make an entrance. Without being over-the-top droll — as in Kit, the Night Rider car on-board voice, or outright smarmy, as in the unseen “Charlie” intercom voice in Charlie’s Angels, HAL and Majel Roddenberry’s computer voice provided intriguing characters who were omnipresent, all-knowing, and infinitely more engaging for their invisibility. Next blog — in about two week’s time — I”ll discuss the infinite possibilities and amazing advancements made in the area of text-to-speech.